Are rising up, doubly great. Dr. 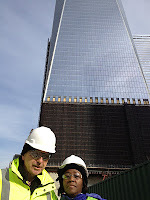 Goose was privileged to witness first hand how the World Trade Center, more than ten years after its destruction, is finally headed toward completion. The driving force behind this achievement is the unsung Steven Plate (pictured at left), Director of World Trade Center Construction for the Port Authority of New York & New Jersey. He invited the mayor and town council of Glen Ridge, New Jersey (of which council Dr. 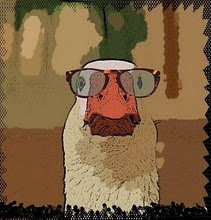 Goose is a member) to tour the site and observe its progress up close. Mr. Plate knows all about thankless jobs, having once served as mayor of Glen Ridge - a volunteer, non-partisan position - himself. In his current role, his achievements loom large even if his name may not. You may see photos of the tour on the Limericks Économiques Facebook page.